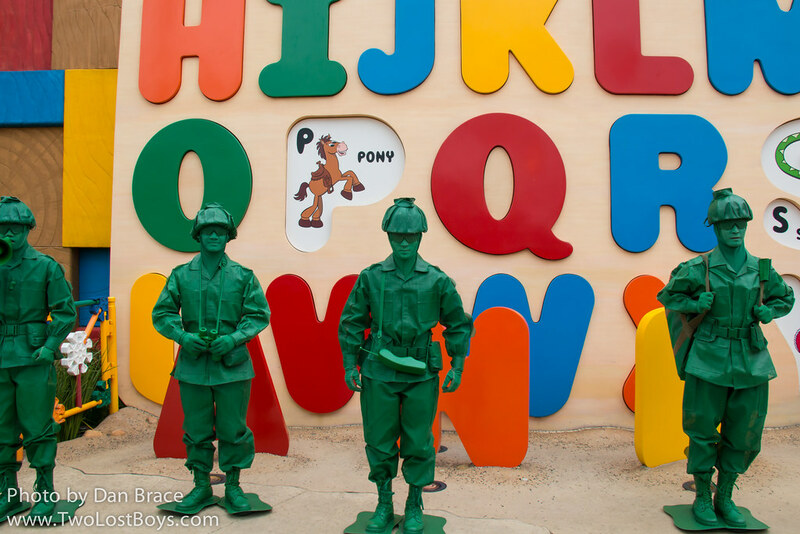 The Green Army Men are in the tall grass amongst Andy's other toys, and they are going to show you how to be a real soldier, at the boot camp! 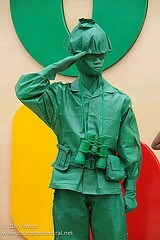 The Green Army Men usually stop for photos after the show. This is a small interactive performance that takes place usually in front of the large letters at the Fantasyland/Andy's Toy Box end of the land.